Finding the best patio furniture can be a real adventure, but it certainly doesn’t have to be a challenging or unpleasant one. As long as you know what you’re looking for – look here http://lehrerfireplacepatio.com/fireplaces-2/ for both furniture and fireplace ideas – it can also be a beautiful experience that allows you to discover new stores and exceptional new deals you never even knew existed. One of the first things to consider is the material you want the furniture to be made of. Patio furniture is surprisingly versatile, and you can find anything from traditional wooden love seats and metal tables that match your barbecue grill in style and color, to stunning wine barrel furniture made from actual barrels. 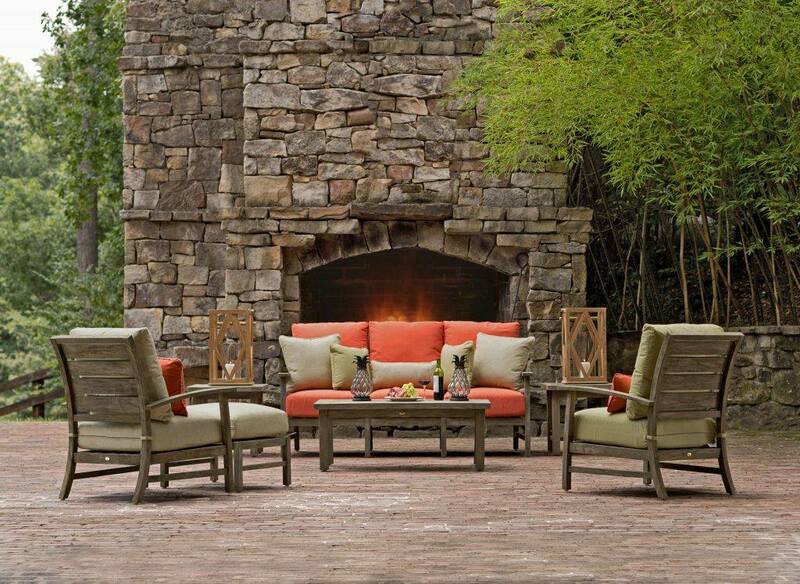 The latter is one of the most fashionable outdoor furniture trends you will encounter these days. When choosing the color of your furniture, it’s important to make sure it matches your environment perfectly. For example, a green area with lots of colorful flowers and trees will be best mixed up with white or brown colored, natural looking wood or metal furniture. A rock garden and herbs best chosen for arid climates will better evoke colors that are fun and lively, such as red, yellow or light green. The perfect patio furniture is the one that creates some contrast with the surrounding landscape without drawing too much attention. By blending it naturally with its environment you will have succeeded to improve on your home’s curb appeal and overall exterior appearance.